Tipping in Canada is similar in the US but not the same. There are no strict rules when it comes to figuring out how much you should tip for good service. But before your taking your trip with your ETA Canada, it is helpful to learn of the tipping etiquettes they follow. Most of the time service or gratuities are not included in the final bill in restaurants, well except for large groups of eight or more people. They do this to encourage good service. So when you visit Canada after applying for your ETA, remember that it is customary to tip especially when you are a recipient of exemplary service. 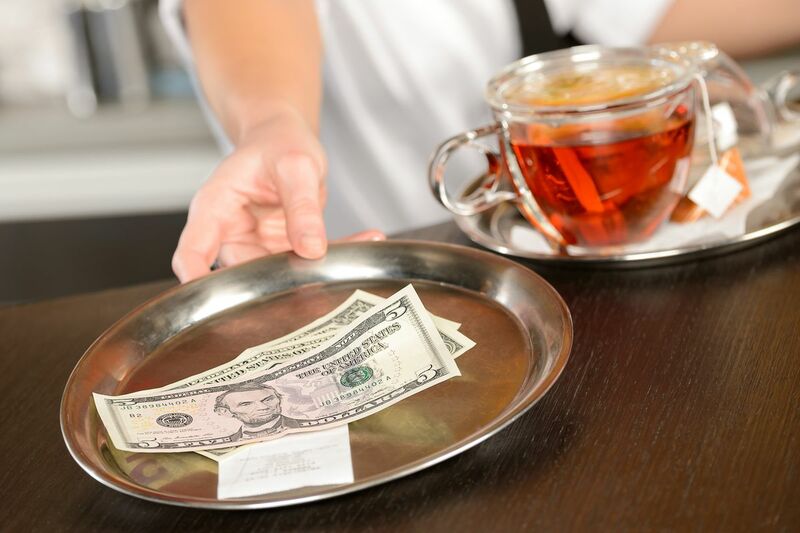 Restaurant Servers, Waiters and Sommelier – You can tip from fifteen to twenty percent of your bill before tax. Tipping above this range is very generous and a common occurrence. Café Servers – Just like in a restaurant, you can give servers ten to twenty percent or let them keep the change instead. Bartenders – Giving a dollar per drink is a generous tip, but is not required. The usual ten to twenty percent tip still applies here. Or, you can choose just to let them keep the change if that is what you prefer. Coat Check – The standard tip for coat check is either one or two dollars per coat. Tipping at hotels are not required but are appreciated. Once you applied for your Canada ETA, it’s not hard to find hotels with exceptional staff who goes extra miles to make their customers happy. Don’t forget to include these members of their staff who are actively working to make you comfortable during your stay. Parking Valet – They don’t expect you to tip each time you leave or pick up your car. But when you are satisfied with their service you can tip anywhere from two to five dollars. Doorman – The standard practice is tipping a dollar for a service like hailing a taxi for you. Concierge – It is not typical to tip the concierge but not discouraged. Tipping can show your gratitude especially if they have been extra helpful with bookings, directions, recommendations, and making your stay unforgettable. Bellhop – Give at least a dollar or two per bag. Room Service – Before giving a tip, you can check with the hotel first if the cost of room service is already included in your bill. It is not customary to tip in this situation. It is your decision if you want to tip, give them two to five dollars depending on the items their delivering. Housecleaning or Chambermaid – Most people fail to remember this, but tipping your maid is important to express your appreciation to their efforts of keeping your room tidy for the rest of your stay. For making your trip comfortable and helping you reach your destination safely, it is a good tipping etiquette to pay an extra ten percent or more. Airport or Hotel Shuttles – Tipping your driver is not necessary, although you can always make exceptions if they helped with your luggage. A two dollar tip is acceptable in this situation. Taxi or Cab Drivers – It is customary to tip anywhere between ten to fifteen percent of the total cost of your ride, depending on the quality of their service. After having your Canada Visa approved, you might want to visit some place to relax like a Spa or Salon for example. It’s common to give your stylist, beautician, manicurists or masseurs the usual ten to twenty percent of the total cost before tax. Don’t forget to also give between five to ten dollars to the person who washed and blow-dried your hair. It is also common to see tip jars placed on service counters almost everywhere you go. Placing a tip is entirely up to you. Whether its retail stores, cafeterias, ice cream parlors, or coffee shops. It is not compulsory to give a tip and at times, not customary. When taking a tour across the country, you can tip your driver and guide to show your appreciation of their good service. Tip between the range of ten to twenty percent of the total cost, whichever you prefer. To keep things simple, first, ask yourself if you are satisfied with the service. If your response is yes, then you should tip. Keep in mind that it is not required of you, but only a suggestion. Tipping is solely your choice and should be given willingly.